I just can't stop using my Gelli Prints on everything lately!! I have discovered using deli paper for my prints, since it is a semi-transparent paper you can see something underneath it if the paint isn't to thick. 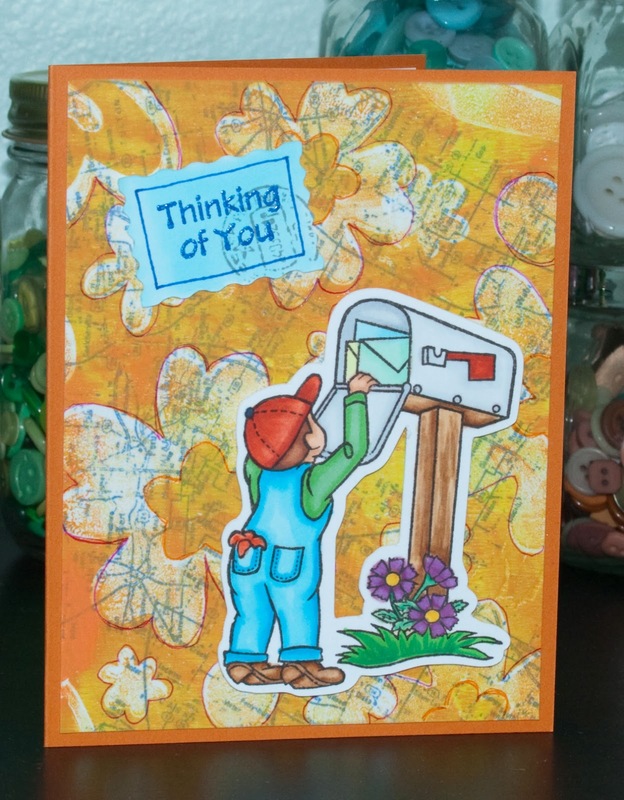 On this card I used 2 new stamp sets from Sparkle N Sprinkle. 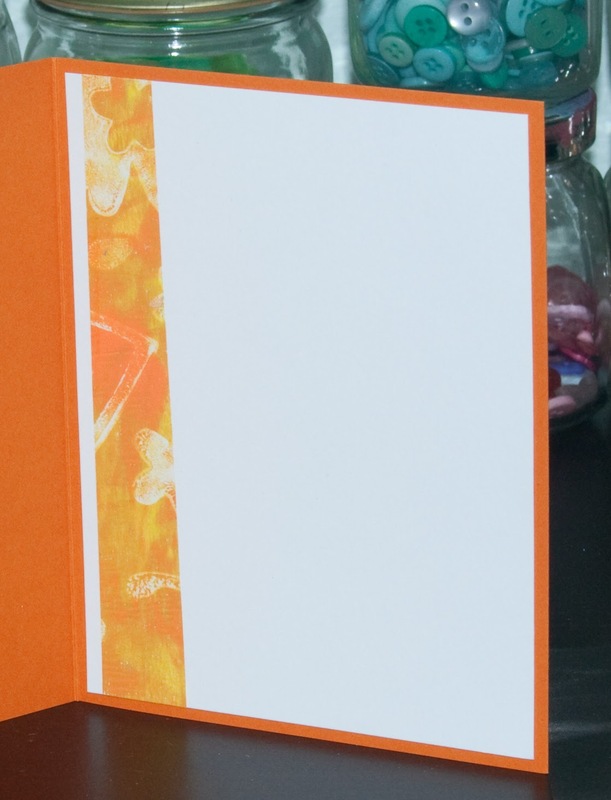 Here I used the Travel Mixed Media that I stamped on white cardstock, then glued the orange floral gelli print over it. I used a pink pen to outline the flowers and define them a bit. 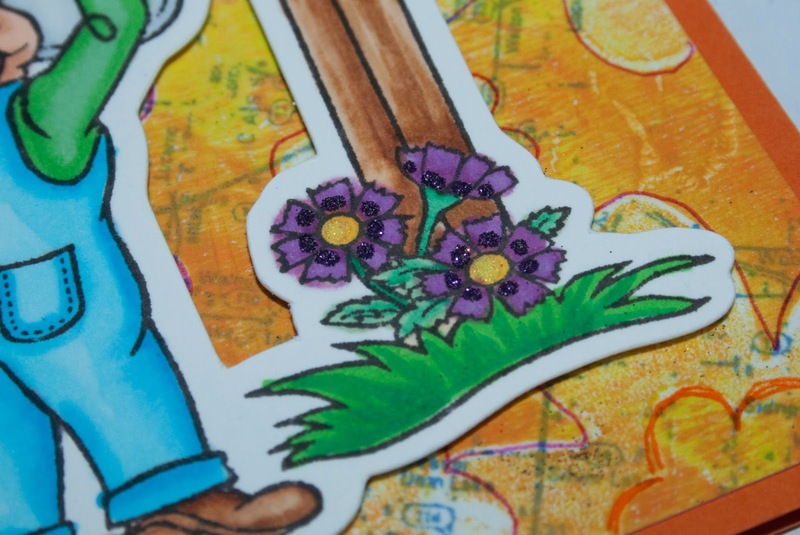 The main image is from Across the Miles stamp set, the image was first cut out with the Cut File, then colored with Copics. 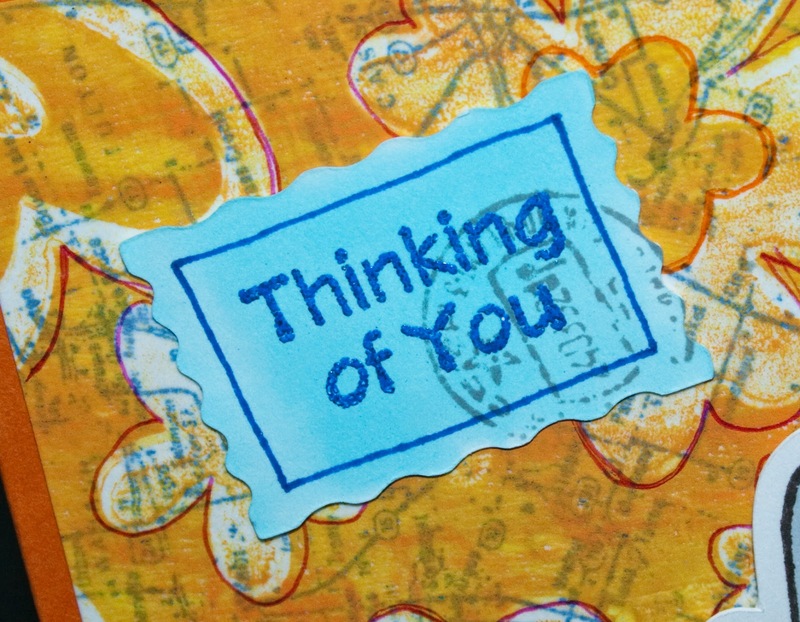 The sentiment was stamped on a rectangle cut out like a postage stamp and colored with B02 Copic, then embossed with Cerulean EP. 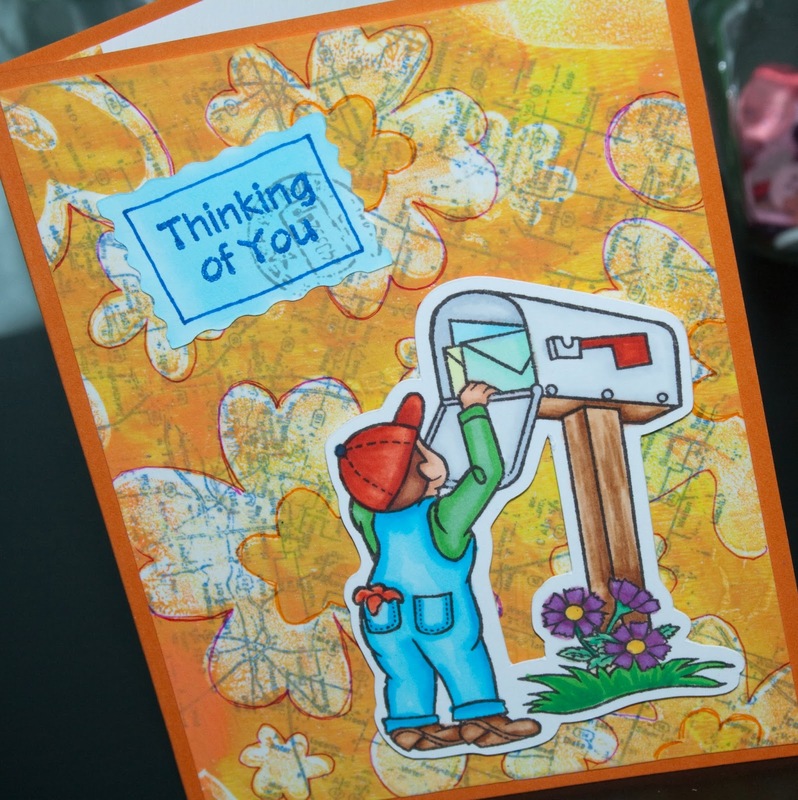 I used the cancelation stamp from the mixed media set and stamped on it.....I thought that was really cute! For the inside I just cut a strip of the gelli print and glued it down.